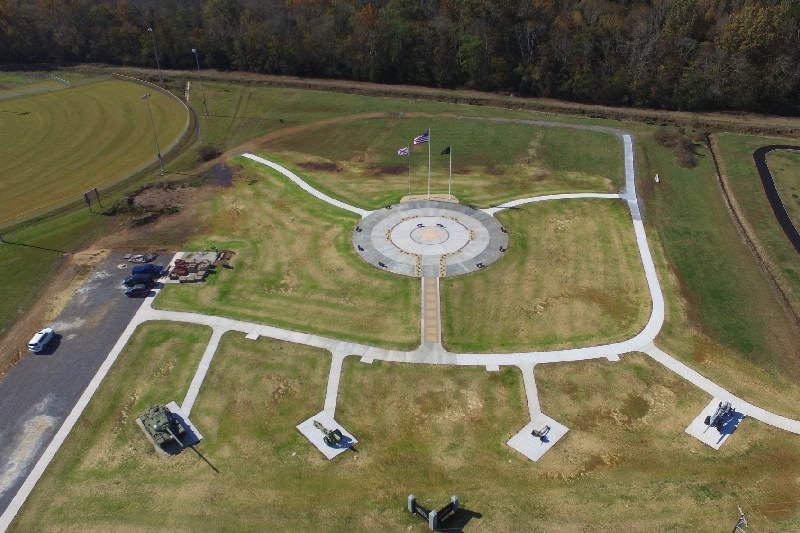 The purpose of the Veterans Memorial Park of Jackson County, in Scottsboro, AL, is to preserve the memory and history of our Jackson County Military Veterans and to promote a tranquil atmosphere with prominent military displays and a memorial for each branch of service. The memorials will list the names of those Jackson County Veterans that made the ultimate sacrifice. The park will be a place where residents and visitors can go to reflect, honor, and pay tribute to our Jackson County military men and women that have sacrificed for and served their country. Educational kiosks with history of military wars and conflicts will surround the memorials.